In 2001, I was appointed Scientific Director of the training school in civil protection run by the Regional Council of Lombardy. I was based in Milan, Italy. One of my first tasks was to train 28 senior emergency managers. As some of them worked in the 32-storey Pirelli building, and as it was not long after the World Trade Center disaster in New York, I set them the task of devising an evacuation plan for the Milanese skyscraper. Shortly after I had given them my analysis of the events in New York during the terrorist attacks known as "9-11", a light aircraft was deliberately flown into the Pirelli Building, killing one occupant and the pilot and starting a fire. I was relieved to find that the evacuation plan worked: it was based on careful investigation, clear thinking and rigorous drills for the users of the building. Back in the UK, a couple of years ago I attended a trade fair for emergency service equipment. The organisers presented me with a copy of the 1974 disaster movie Towering Inferno. I thought at the time that this was a rather crass gesture, but as I was making a study of disasters and popular culture, I sat down and watched the film. It is a rather silly movie: heroes, villains, bungled escapes, all the usual ingredients of the genre. At the end, there is a conversation between a fire chief and the architect who designed the building that burnt down. The latter, who evidently uses his head merely as a place to park his architect's hat, has never thought about the flammability of the building and the fire chief has to convince him that now, after the disaster, is the time to give such matters his attention. Here we are, 115 years after New York's Flatiron Building was erected as one of the very first skyscrapers, with more than a century of accumulated knowledge about how to improve the performance of tall buildings under duress. And yet in London, 43 years on, it is bizarre to see The Towering Inferno become a sort of self-fulfilling prophecy. The Grenfell Tower, or "tinderbox tower" as one resident called it, was at one point a sheet of flame that stretched from the ground to 24th floor. How is that possible, given all that is known about the performance of tall buildings and inhibiting the spread of fire? And what about the electrical surges of 2013 and the naked gas pipes that so frightened the residents? All too often there is a yawning gap between what we know about safety and what we do about it. In the 1980s and 1990s the British sociologist Anthony Giddens and his German counterpart Ulrich Beck defined the "risk society", a concept that became very popular among students of modernity. Risk is a function of our preoccupation with safety, and the risk society is our way of fighting against the threats and uncertainties caused by the increasing pace of modernisation, or so they argued. For me, this view of modernity is too technocratic. I believe we live in a vulnerability society. It is not the desire to quantify risk and put it in conceptual pigeon-holes that defines modernity, but the political decision making that condemns groups and whole classes of people to be especially vulnerable to disasters and other adversities. We share the risks unequally. One thing that is particularly striking about the aftermath of Grenfell Tower is that there is little sign of redress. So far, those who were marginal and at risk before the disaster continue to be marginal after it. Oh, and I forgot: in Britain we don't have disasters, we have 'major incidents', as the official language terms them. But, viewed without the cultural belittling, it was indeed a disaster, and one that reverberates around the nation by revealing a whole landscape of forgotten, ignored vulnerability, so much of which is morally and ethically unacceptable. 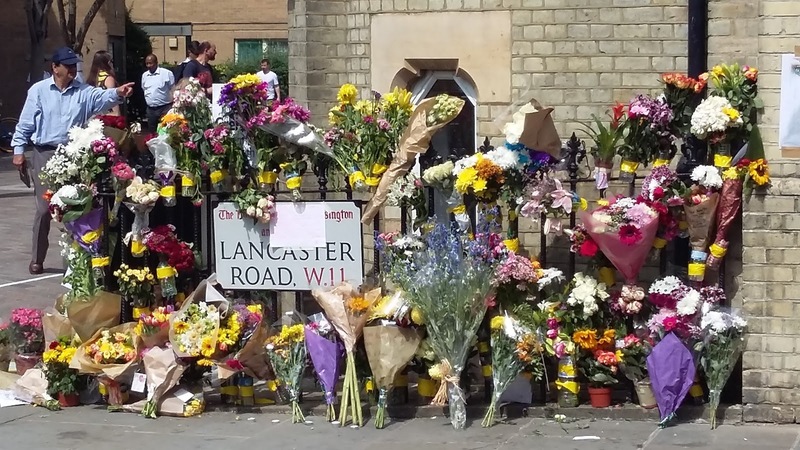 As a precaution, Transport for London closed the underground lines that run through Latimer Road station, which is almost in the shadow of the blackened wreck of Grenfell Tower. One suspects that the transport planners had in mind Exercise Unified Response, the £800,000, six-nation disaster drill which was conducted in London in February and March 2016. In this, emergency responders dealt with a simulated emergency situation in which a tall building had collapsed onto a tube train. The wreckage and the rubble were packed into a redundant power station in Dartford. The trains were gone, but how many of the residents who live closer to it were evacuated? What did the housing managers have in their minds when they let the residents stay? The consequences of radically different attitudes to risk could be encountered in but a few hundred square metres. Walking to the site shortly after the fire from the nearest tube station, Holland Park, one passed through a landscape of Porches and Bentleys, gracious Georgian houses and well-swept streets. Suddenly, around the corner there was a gloomy football pitch squashed under Westway, rusty fencing, concrete gardens, barracks-like social housing. And then came all the signs of agony, anger, distrust. In some respects, it reminded me of Miraflores in Lima, Peru, where the houses of the rich are carefully defended against the tide of 'informal' housing of those who are not fortunate enough to live in comfort and luxury. Emergency response systems are usually mosaics. Like the curate's egg they tend to be good in part. There are social, political and economic explanation of why this is so, but one of the main reasons is that they depend on actual people: a good leader, a good organiser, committed supporters, all of them can transform a failing system into a functional one. In October 1999, the Royal Borough of Kensington and Chelsea had the Ladbroke Grove train crash in its back garden. This 'major incident' (31 dead, 520 injured) was managed competently. On the other hand, it was not exactly an indigenous matter, as the survivors quickly moved on. Eighteen years later, it is breathtakingly awful to see the richest borough in the land make so many classic mistakes as it struggles to respond to disaster on its doorstep. London's emergency arrangements are not bad. indeed, they are excellent in some crucial respects. But a failing of the British system is the relatively loose connection that exists between planning for an emergency, on the one hand, and managing and responding to it, on the other. So much can "fall between the cracks". My colleagues and I have developed a fascination with the 'transitional phase' of disaster aftermaths, the period that is supposed to connect the phase of intense activity in the initial response with the more measured phase of reconstruction, in which long-term solutions are devised to the problems caused by disaster. We have been studying this in a variety of settings: the Philippines after Cyclone Haiyan (2013), Mexico after landslides and floods, Japan after the tsunami and nuclear release of 2011. We find that in some cases--the worst ones--it isn't a transition at all, or rather it is a transition from nothing much to nothing else. Absence of clear strategies breeds lack of trust in authority, loss of confidence and a fear of the future that, sadly, is often well-founded. Is this what we see in north Kensington, a transition from precarious marginalisation to more of the same? In the great practical field of endeavour that is now known as 'disaster risk reduction', there is a sort of reverence for the idea of 'community', as if it were a universal palliative to a whole catalogue of ills. In reality, communities can be therapeutic, but they can just as easily be vehicles for division, dissent, distrust and disassociation. Its borough may be a divisive place, but North Kensington in adversity is a good kind of community: I suspect it is very much the best of its kind in Kensington and Chelsea, if we also give recognition to the Chelsea pensioners. At this point, "working with the community" comes into play. Everything we know about the local scale in disasters suggests that imposing solutions onto people is a bad idea. Doing things for people is by no means as helpful as doing things with them, and for many issues it is better to support them while they solve the problems themselves. 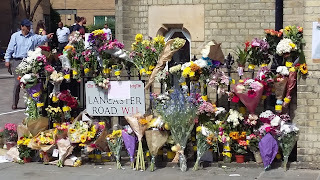 The ideal situation is one in which those whose decisions and actions caused the Grenfell Tower fire 'own' the problem, while those who survived it 'own' the solution. And may that solution be a catalyst for rectifying the entire national 'landscape of negligence' that is being slowly and steadily revealed as the weakness of fire regulations becomes apparent. If the community is to triumph, those who provide the assistance, run the enquiries, put things right, and speak for the community need to remember the motto of E.M. Forster: 'only connect'.